Every eighth german or austrian at the age of at least 25 is directly related to someone who has been murdered between 1939 and 1945 because of a mental disease or disability. The responsible euphemized these murders by describing them as ‘Gnadentod’ (mercy killing), ‘euthanasia’ or ‘medicide’. The relatives maintained silent about their mysteriously missing family members. Partly because a false death certificate and a so-called ‘Trostbrief’ (consolation letter) concealed the true nature of the death. On the other hand some even might have felt relieved by the quiet disappearance of a needy relative that lifted a burden off their shoulders and were thus, in the following, ashamed to name the victims. 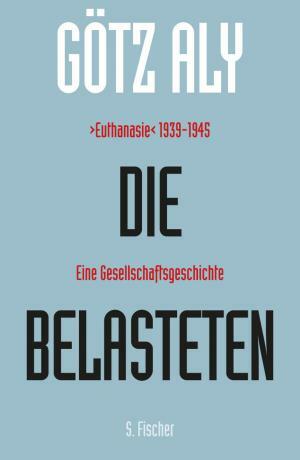 The recently published monograph Die Belasteten, by Götz Aly, a renowned german historian and journalist, actively takes part in this recollection process by including the perspective of victims and their families in his research. The book not only traces how the killings found its way into the therapeutical daily routine and how they even became a part in the reformist agenda of the responsible physicians, but it also shows how the families behaved in the face of an open german secret, the ‘euthanasia’ murders. The table of contents as well as a short extract of the book can be found here.